Hydrosphere has been involved with the offshore renewable energy industry since the installation of the first offshore wind farm in 2003. We can supply solutions from single LED beacons to entire wind farm systems including: temporary solar lights, navigation buoys, navigation lights for fixed and floating structures, foghorns, remote monitoring, and data buoy platforms. The Vega VLB-2 is an ideal 2NM light for marking monopoles whilst the VLB-36 XL is suitable for temporary marking of larger structures requiring up to 6NM range. All lights are able to exhibit all standard IALA flash characters. 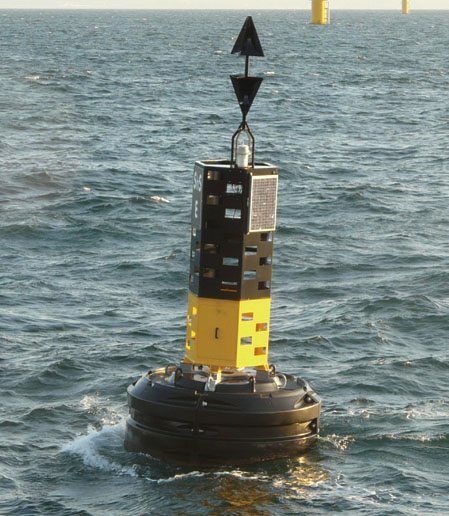 The JET 9000Q high visibility buoy is particularly suited for offshore wind & wave renewable deployment. All buoys are compliant with IALA recommendations and have options for remote monitoring with alarms via GSM or satellite. We supply maintenance-free, night-time ID marking with illumination of up to 10cd/m2. We offer a range of visibility detectors and 2.0NM to 0.5NM compact, omnidirectional foghorns emitting a 360 degree beam of sound, all designed for offshore use. We provide marine lanterns for use on offshore wind farms and MET masts with 5NM range, with optional GPS synchronisation. We supply remote monitoring systems by GSM or satellite for controlling a set of fixed AtoN including: navigation lights, obstruction lights, fog signals, AIS, racons, signage, sonar transponders, two-way communication and GPS. 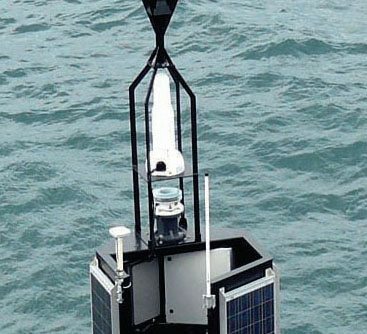 Sonar transponders, AIS transmitters, Racon, traffic surveillance systems, and radar target enhancers are available and can be easily installed on a navigation buoy. All design, configuration, documentation, supply, installation, maintenance and removal of products is available.